Increase intercultural understanding by providing access to the voices and visions of Islam and Muslims locally and around the world. Inform and promote dialogue as it tackles the complexities of Islam and the often complicated relations between Muslims and non-Muslims. Replace misinformation, mistrust, and oversimplifications with awareness, consideration, dialogue, and a diversity of voices. Promote accessible scholarship, forthright communication, balanced viewpoints, and the value of the many voices and visions of Islam. Muslims debunk myths and misunderstandings about Islam. For more videos, visit our YouTube channel. 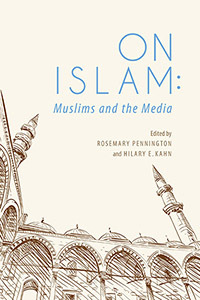 Editors Rosemary Pennington and Hilary Kahn bring to you a compilation of articles written by journalists, activists, bloggers, and scholars who offer insights into how Muslims are represented in the media today and offer tips for those covering Islam in the future. Please enjoy these sample podcasts from the Muslim Voices archive. Dr. Shariq Siddiqui, representing the Muslim Alliance of Indiana, discusses the "Muslim Hoosier" magazine. Faiz Rahman, former President of the Islamic Center of Bloomington, discusses a personal example of the importance of bridging interfaith and intercultural divides.